Green. Goes with the bolter much better. I actually think I like the green better. Some buddies and I are starting to play Gaslands. I've got my Hot Wheels and Matchbox cars, so now it's time to start converting and painting. Where do you guys get your bits from? I've tried Hoard 'O Bits, but they don't have a lot of what I'm looking for? What have you guys got? Yeah, I've been thinking about raiding first the toy store and then my bitz box and go nuts on some cars. I'm painting up the Star Wars: Legion Stormtroopers. Has anyone tried using a little gloss on their armor to really make it shine? Does that make it too fake looking? Do you use a gloss varnish after painting or do you mix something in while you paint? I think I'll try first on all the white armor and second on just the eye peices, top of the helmet, and shoulder pads. Never really used any sort of varnish before so I've got a lot of questions including recommendations on which brand to pick up.  Yeah, he has a spectral mullet, what are you going to do about it? for actual cloth, I am thinking a darkish red, and a copperish color for metal? Not sure yet. 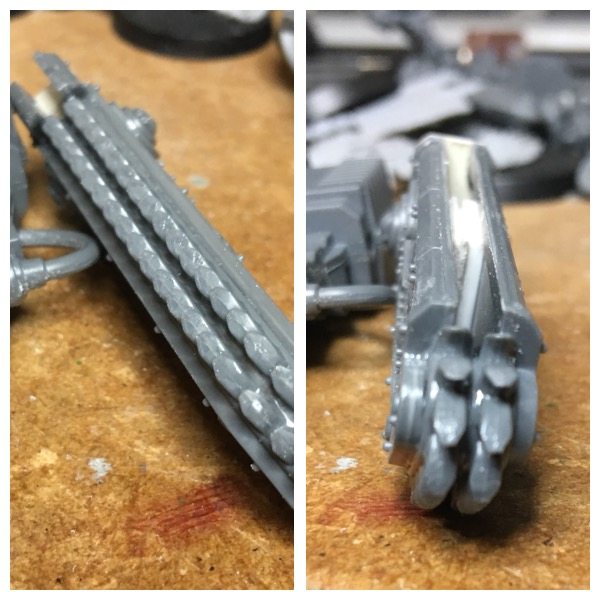 So the pewter Necron stuff is coming clean but the plastic that I couldn't remove without bending the model made it really difficult to get stuff out. Also, asking for a friend. Say this friend got acetone kn the wood table and wrecked the varnish, can that be revarnished? Remind your friend that using paint stripper on a painted surface is not advised unless you actually want to remove the paint. That said, it’s called paint stripper, not paint-preventer-ever-againer; your friend should be fine once their significant other and/or parents get done with them. Though it might be easier to strip back a whole section then revarnish it completely than to try and match whatever varnish you can get now to whatever was used on it before, depending on the age and construction of the table. Of course if it’s a laminated surface and the acetone got through the veneer and wrecked the glue, your friend is boned. If you have the space, a $20 craigslist table is a lifesaver for hobbying. Not having to worry about consequences for spilling anything or leaving watermarks is great. If you don't have the space for a full table or a folding table that's sturdy enough to work on, a big work mat should be really high on your list of priorities. It's not as good as a cheap table or a beat up old desk that you can dump chemicals on with relative impunity, but it's certainly better than explaining to your parents/significant other why their favorite table now has spots of Cygnar Yellow where your brush rolled off the paper. I save cardboard from amazon deliveries and that goes on top of whatever surface when I do hobbyist stuff. I got super lucky and got both of my very nice hobby desks for $30 total on clearance from staples a few years ago. It makes you feel a lot better about drilling a base on top of cardboard for the pictures above and going straight through. Also this is totally the secret behind being a cultured civilized suburban human being: tablecloths. You take that puppy off and it's nothing but cut and burn marks. So, the general consensus is pro-thinning your GW paints in the jars? Because the Robot always seems to just thin on the pallette. I've been doing that, and it's working... ok. BUT I'm wondering if y'all have advice/rationale one way or the other? I thin on the pallette, mostly because if I end up over-thinning I am only out a little blob of paint instead of an entire pot. I'd say the general consensus is to not do that. Being able to control the consistency of paint to meet your immediate needs will always win out. I've got a ratty dollar store table cloth that I drape over our kitchen table when I'm airbrushing. It's nice and close to the sink for cleaning and right next to a patio door for ventilation. Get my spray box set up and I'm guaranteed not to get overspray on the table surface. I would love to transfer all my GW pots to droppers, but man.... it seems like a LOT of work. What’s the best way to go about transferring the paint to a dropper bottle? I attempted to just pour it out but it ended up being a huge pain not to waste a time of paint. The only GW paints I transfer are used for airbrushing so a little thinning isn’t that bad, but I transfer as much as will glop out into big dropper bottles with wide mouths, then put about 20 drops of airbrush thinner in the pot and shake it to flush out the last bits. Don't suppose you have a link to where you bought those droppers....? I plan on getting a small plastic table from walmart or something and doing stuff on that. I decided to paint up the custom Rune Priest in Terminator armor that I made years ago. Primed it and then noticed a spot I wanted to put green stuff. Not a big deal, easy fix. I am realizing I'm gonna need quite a few different colors for this. Necrons are easy. Space Wolves are gonna be a pain. 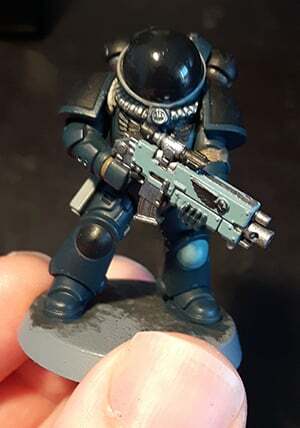 I am following advice from Duncan's videos so right now I'm pretty happy with the first layer of paint. I might have put slightly too much primer on a few spots but nothing too bad. 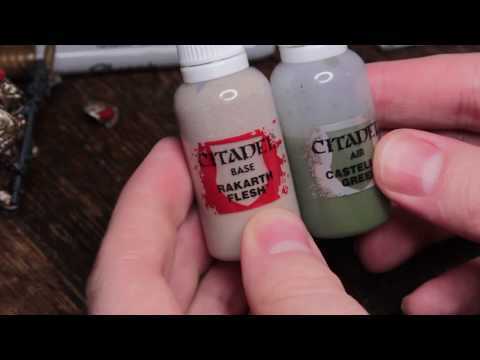 Is it better to buy those citadel paint packs or buy single bottles of paint? I've been buying the single bottles so far but I don't have much of a collection beyond oranges, dark blues, greys, and black. Edit: I realized in the Grey Hunter painting video Duncan did, it uses 25 or 26 different paints. That is $125 to $130 in paint. I don't think I'll be able to finish these till I get a job. Unless, like me, you overthin an entire collection of paints. I think I just looked for some big bottles on eBay. 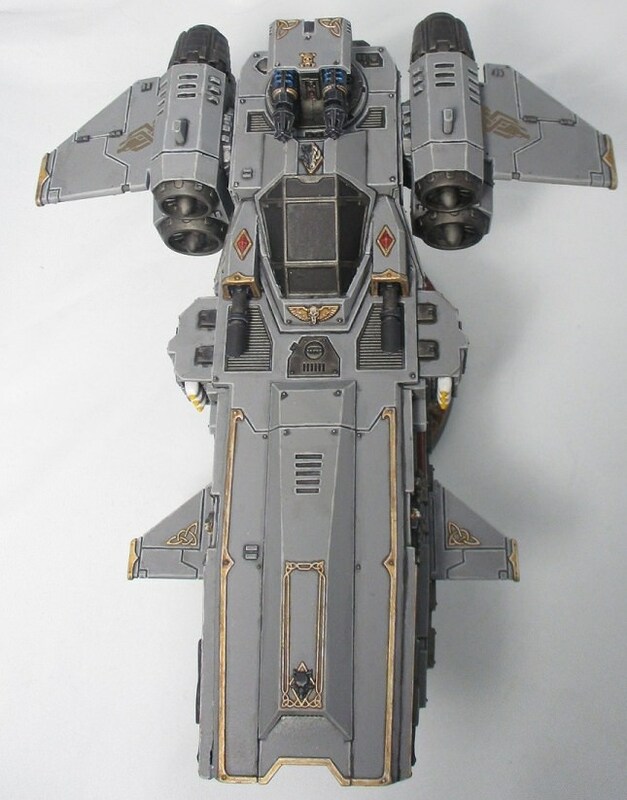 i went and stripped my old stormwolf and re-did it. i totally effed up my original paint job when i did it a couple years ago. 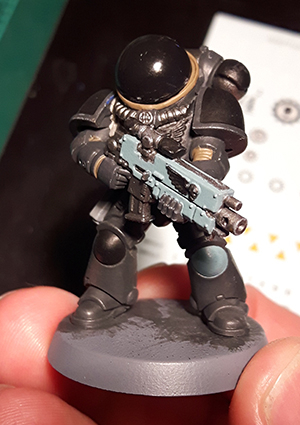 the paint had went on so thick it looked like i base coated it in texture paint. anyways, its acceptable now. also stopped to snap some photography of my razorbacks. like the stormwolf, they are older models but i did a refurb a little while ago to clean them up. @Dayspring i also paint my minis purple. i use a de-saturated purple. very de-saturated. 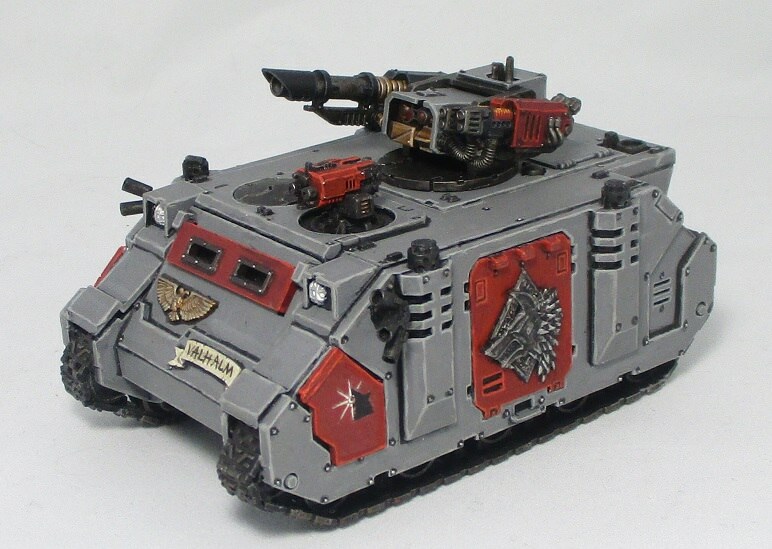 Man, @Matrias, that Stormwolf and those tanks are just so totally barely acceptable now. More seriously, I really love the gold-trim-on-grey thing you've got going there. I literally yesterday decided that my monster mans need purple shells. Oroboris calls for black with grey highlights. Abaddon black has garbo coverage and purple is just better. 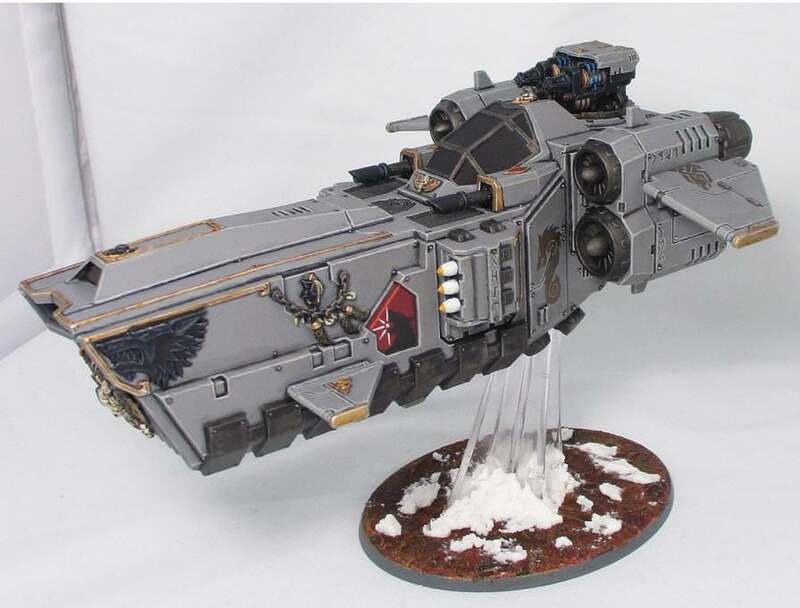 i say 'acceptable' because the stormfang model has some annoying build issues from my orginal assembly - you can't tell they're there without looking hard but i know they're there. 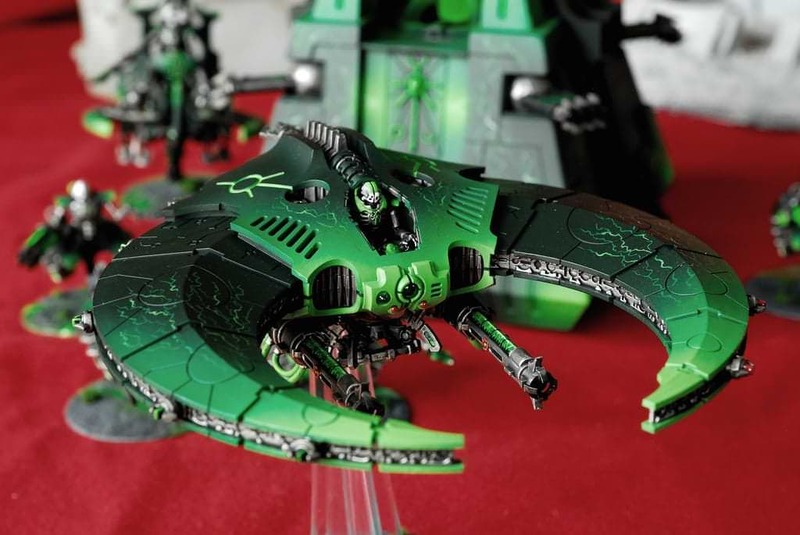 So I think I found a paint scheme for the Necron Night Scythe that I like. I want to do it yellow instead and I think I'm going to use an airbrush. Only issue is it looks like it blends from light to dark and I'm not sure how I'll do that. That’s a pretty simple effect to get with an airbrush, and much more involved by brush. I’m not sure how it would look with yellow though, unless you started with an orange-yellow and went up to yellow with it. I have the yellow paints under warm yellow in the citadel paints app. Will that work? It should, but yellow is going to take awhile. I hope you have an airbrush, because otherwise that’s a lot of thin layers over a big model. I do, I just gotta get better at it. Gonna try to find some videos on blending colors. you can see some of the ones on the ones i posted, where there's gaps between the panels. 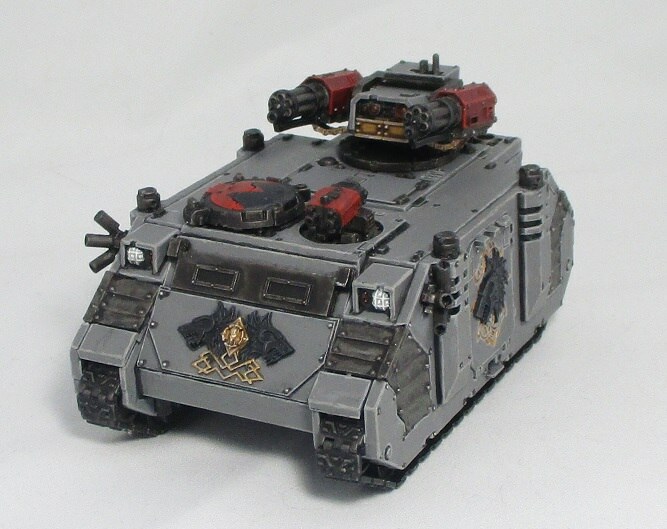 i think GW would rather retire the old rhino all together then remake a CAD for it. 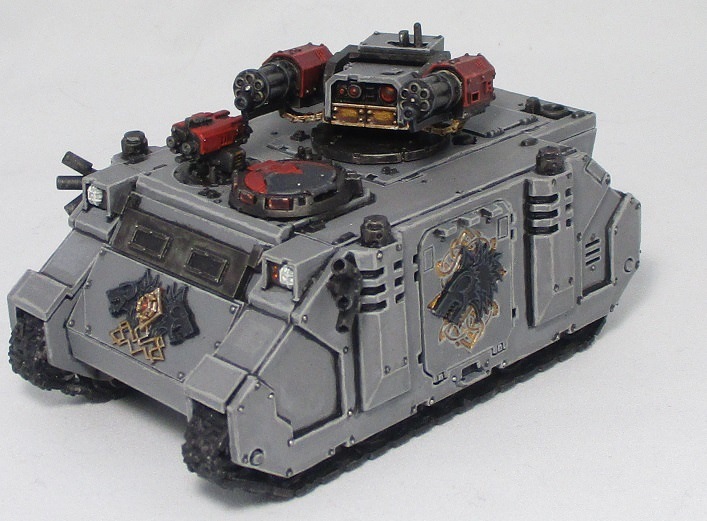 they should seriously consider designing a new mid-tier transport that's dual primaris/mini marine (like a mini repulsor). I am whatever sits between proud and disappointed. Doing a building/painting party at my friend's place Friday night. Him, his wife, my brother, our friend, and me are gonna put together Infinity and 40K stuff and one person is gonna be painting stuff for D&D, I'll mostly be painting. The clear acrylic rods for my Necrons I bought are gonna get here between today and next Tuesday. Got neon orange and dark blue. Did you do the Great Company of the Harald Deathwolf why?